Made from “Fine Silver” (.999). 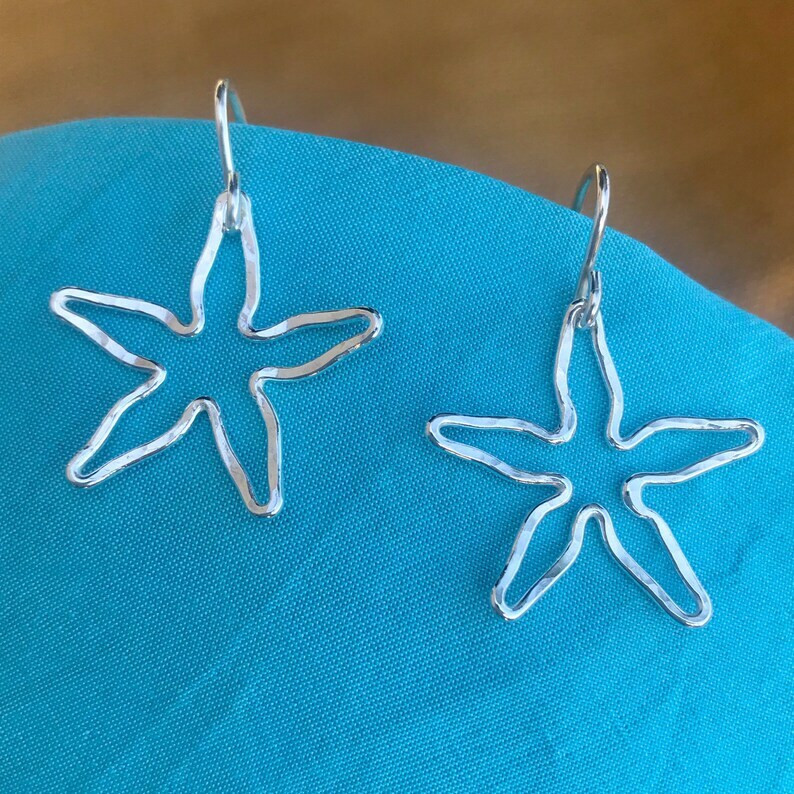 Each earring is hand shaped into a one of a kind piece (matching as closely as possible). It is then fused with a torch and hammered for texture. Polished to harden and shine. * Each set will vary slightly as they are completely formed by hand. Thanks for the quick delivery! They were shipped the same day ordered. I have several pieces of jewelry from CouturebytheSea and, as with the others, I LOVE these! Looking forward to future purchases!